A handful of visitors walk and watch the surf on Sand Beach in Acadia National Park in this file photo taken Sunday, Jan. 21, 2018. Acadia National Park is preparing for what could be one of its biggest seasons with the opening of its main Loop Road on April 15. Workers will be preparing the road, Hulls Cove Visitor Center, Echo Lake Beach Road and Thompson Island Picnic Area for their tentative April 15 openings while the Sand Beach Entrance Station opens May 1. Passes will begin to be sold at the Sand Beach station May 1. Several other park features are also scheduled to open May 1, said Christie Anastasia, a park spokeswoman. This could be a critical year for the park, which attracted a record 3,509,271 visitations in 2017. Park officials are due to unveil a new traffic plan in early May as the town of Bar Harbor proceeds with plans to better control its tourism impacts. “It’s when we start opening facilities for the season,” she said. Visitors should check Acadia’s Facebook page for the status of the park’s 57 miles of carriage roads before visiting. Spring thaws might force the roads’ closure this weekend, Anastasia said. “We get a lot of people who hop in their cars and come up to visit and they are livid when the roads are closed, but usually they don’t check before they come here,” she said. The 3.3 million visitations for 2016 were significant because 2016 was the year of Acadia’s centennial. Promotions for the park service and Acadia, both founded in 1916, played a big part in the increase that year and weren’t repeated. Bad weather could delay the April 15 openings, Anastasia said, while park workers are scheduled to do or are doing maintenance work on Duck Harbor Pier on Isle au Haut, the check-in area at Seawall Campground and Wildwood Stables, Anastasia said. 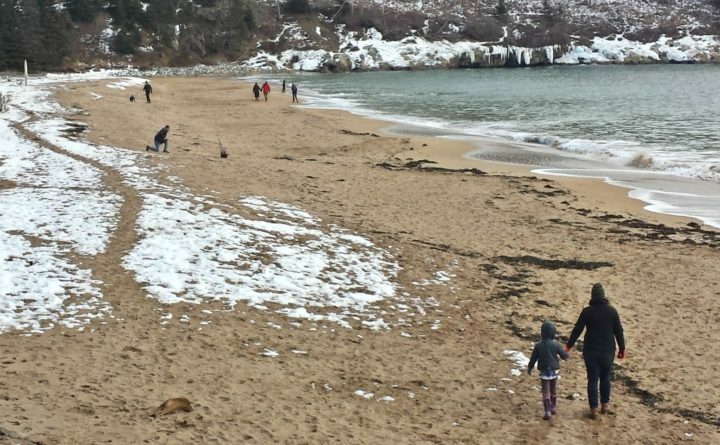 The preparations come as the U.S. Department of the Interior indicated it would drop plan to nearly triple entrance fees at 17 of the nation’s most popular parks, including Acadia. The proposal would have forced visitors to pay $70 per vehicle during the peak summer season. Anastasia said she was aware of news reports on Wednesday announcing the change, but hasn’t yet received confirmation from federal officials. Another plan offered to eliminate the National Park System’s $11.93 billion deferred maintenance deficit, a bipartisan bill backed by Maine Sen. Angus King, is pending review. Park workers are awaiting the melting of ice to discover the extent of damage done to the Sieur de Monts Nature Center, which was flooded by rainwater and frozen by wild weather fluctuations in late January. The Sieur de Monts area will be open on April 15, including restrooms.